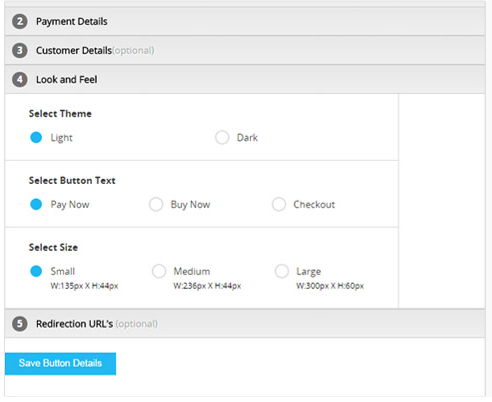 Now collect payments just by embedding a button into your website or blog. Yes, you read it right. You can collect payments just with a button. When a user clicks on this button, he is taken to a page where he is required to enter his details. After entering the details user clicks on submit and makes payment. It is that easy. The button is web and mobile optimized with responsive design. There is no additional paperwork and you can go live in a day. The button can be customized as per the need and you can change the look and feel of the button. You can also create custom fields to collect additional customer’s details. 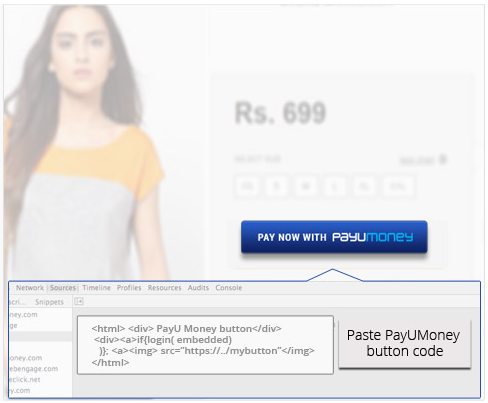 Here is how you can create a PayUMoney button and add it to your website. Step 2: Specify the amount and customize the look and feel of the button. 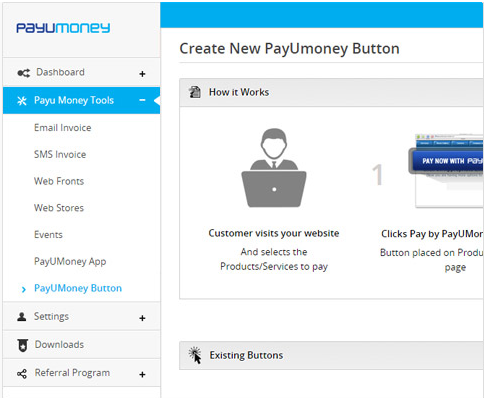 Step 3: Embed the button by copying the code into your website and start collecting payments.